Today is Mother's Day and our Troopers wanted to be sure they didn't miss it! While working on this 365 photo project I have looked back on my youth for sources of inspiration. This being the case, many memories that I had stored away have come back to the forefront. Many of these memories have made me realize that my mother was and is pretty special. I guess I have always known this, but it was not until recently that I realized she consistently went above and beyond her "motherly duties". My mother is of course my mother, but she is much more to me. I also consider her to be one of my best friends. Thanks for being there for me through everything Mom, it is very much appreciated. I love you! 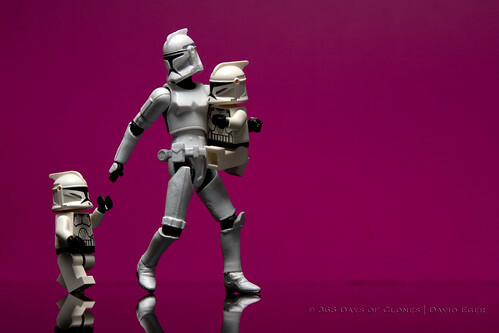 Our Troopers also created a photo for Father's Day.